Father Whit is at Camp Hardtner this week for Training Camp! Hardtner is a great tradition in this Diocese and St Alban's! 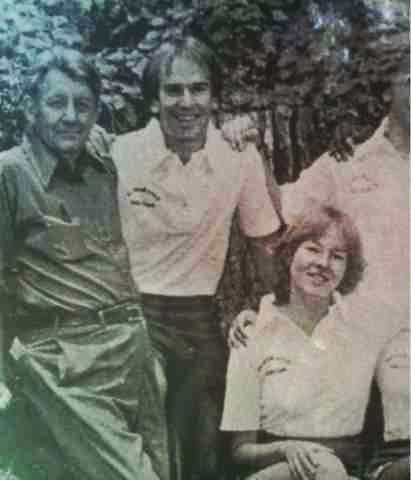 Pictured are our own Ford Jacka - Permanent Staff 1980 - sitting next to Zonnie Paterson Back. Serving on staff this year is George Flynn. Ford and Zonnie will join Father Whit at Primary Camp! Like I said, Hardther is a tradition. Just ask Steve and Laura Flynn , Elena, Wesley, Emma Jane, Keith, Zoe, Ivania, Tracy, Thomas or Will (and lots more, I'm sure - sorry if I forgot you...)!